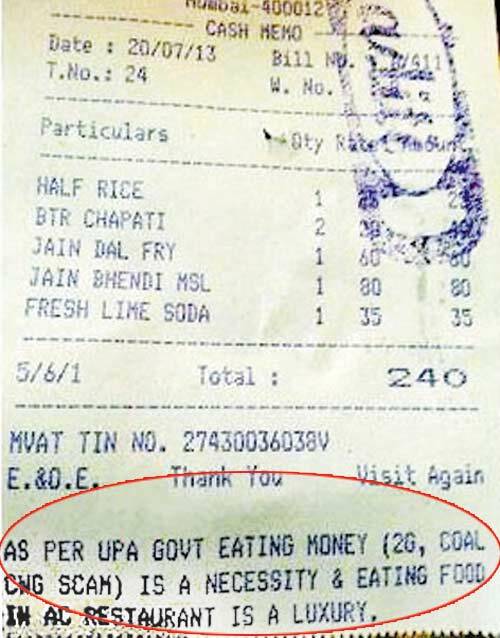 As per UPA, eating money (2G, Coal scam) is a necessity and eating food in an AC restaurant is luxury. 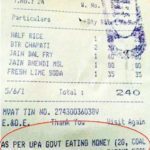 AC restaurant is luxury.” src=”https://aamjanata.com/wp-content/uploads/2013/07/aditi-restaurant.jpg” width=”500″ height=”638″ /> As per UPA, eating money (2G, Coal scam) is a necessity and eating food in an AC restaurant is luxury. I suppose it is defamation. After all the Congress never claimed scams to be a necessity, and it is a false claim made about them on official stationery. 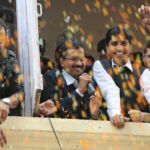 But it is hardly a secret that in India, the line between defamation and educated view is one of class, rather than rule of law. 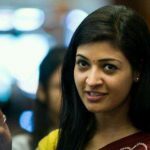 India firmly believes in the concept of “jo hain naam wala wohin to badnaam hain”, which means only powerful people get defamed, apparently, because look what I found. This is Kerala Culture minister K C Joseph commenting on the large number of infant deaths from malnutrition among the tribals in the Attapadi adivasi belt, Kerala. Yep. A Congress minister. 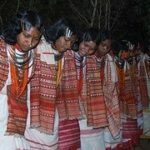 Instead of being concerned about abnormal number of babies dying, mahashay is blaming tribal women in bulk for killing their own children with irresponsible behavior. I guess it is good the tribal women are not heading to court over this defamation. Tribal women of Attapadi adivasi belt in Kerala are essentially being accused of wholesale infant murders. And of course, if this is not defamation, then he needs to explain how he arrived at this information about the drinking habits of tribal women and also explain why tribal women of Kerala alone are drinking to extents high enough to cause large scale infant deaths and what the government is doing to prevent alcoholism among them. Of course, if one wants to get into such things, there will be an abundance of quotes from almost every party. What is common is that it is the common man who gets squashed for speaking his mind, while the powerful may say what they like. 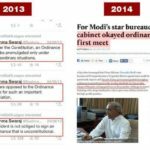 If the Congress is so keen on pursuing defamation, why have they not done anything against Subramanian Swamy, who has made a career out of defaming them in a far more high profile and public manner than the footer of a restaurant bill could ever dream of being?